There are three main parts to the interface. At top is the toolbar, below the toolbar is the canvas, and behind the canvas are the widgets. The canvas is where you do your drawing and all the magic actually happens. Use one finger to perform strokes with the current tool or multiple fingers to perform gestures. Use two fingers to zoom and rotate the canvas. Gestures can be configured in Settings. For example you can map two finger tap to undo and three finger tap to redo or any variation you like. 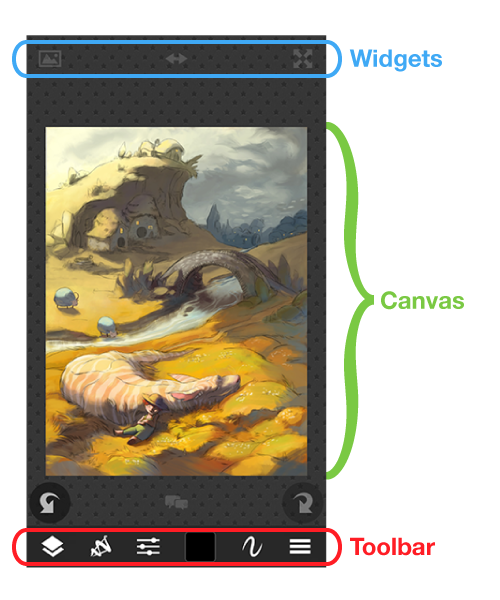 When you zoom out the canvas you see a textured background and icons for different widgets you can bring up. Tap this to expand floating size and opacity sliders. 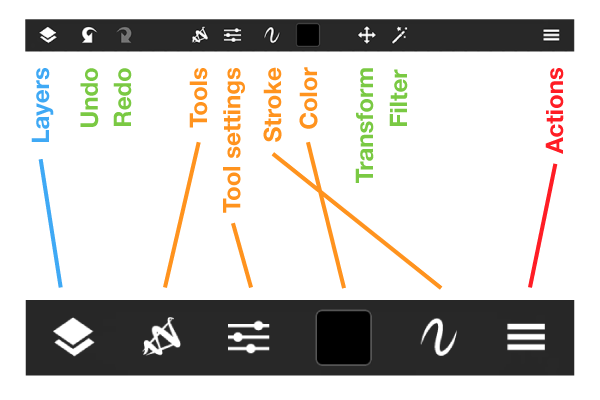 This lets you quickly adjust tool size and opacity without opening the tool settings panel. Tap this to expand the floating color swatch. Tap this to open a reference image from your photos library. You can move and resize the floating reference image using two fingers or sample colors from it by tapping and holding. Tap this to quickly flip the sketch so you can see it from another perspective and easily spot any errors. 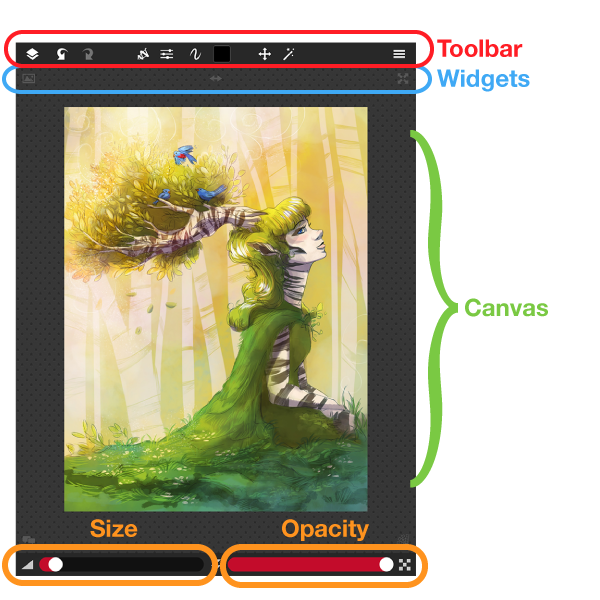 Tap this to expand a window where you can chat with others on Sketch Club while you draw. This is also where you can start a live stream to broadcast your work in realtime.